A native of Jamaica, Alimi Banjoko did postgraduate studies at the University of the West Indies (UWI), M. Sc. (Part 1), UWI- international relations. He received a M.A. in political science, Brooklyn College, and is a Certified Financial Planner Certificant- College for Financial Planning, Denver, Colorado. Alimi served as an able-bodied seaman and assistant engineering mechanic in the Jamaican Coast Guard (Reserve) whilst he did his undergraduate degree. 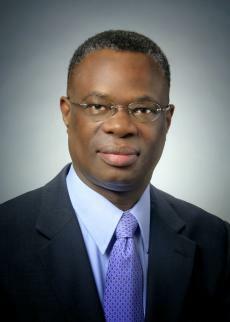 After graduating, he concurrently tutored final year students in government and politics at UWI and taught social studies at Trench Town Comprehensive High and subsequently worked as a political officer, Ministry of Foreign Affairs, Jamaica. After migrating to New York, Alimi worked with the John Hancock Companies as an account executive of financial services to physicians and dentists. He subsequently started his own company, PFS Group, Inc. offering financial services to individuals and small businesses-risk management, tax planning and preparation and investment management. He has worked as a legal assistant to attorneys in New York City and London. Alimi has appeared in numerous cases as a pro se litigant in NY City county courts, administrative agencies, Supreme Court of New York, and in revenue cases on behalf of clients at all levels of the Internal Revenue Service, US Treasury Department. Alimi produced and hosted the live financial talk show, “It's Your Money”, WWRL-1600 AM in NY City, 1995-1997; served as guest columnist in the Weekly Gleaner, North American Edition; and co-authored the book, “On Educated Investing”. Alimi has appeared on community television shows and has been featured in USA Today. He has over 15 years’ experience in aviation and holds a commercial pilot’s licence with multi-engine and instrument privileges - US Federal Aviation Administration. Ist Lieutenant, Falcon Squadron, New York City Group, New England Region, US Air Force (Aux)Civil Air Patrol. Kingston College Old Boys' Assn. (USA), Inc. -NY Chapter.